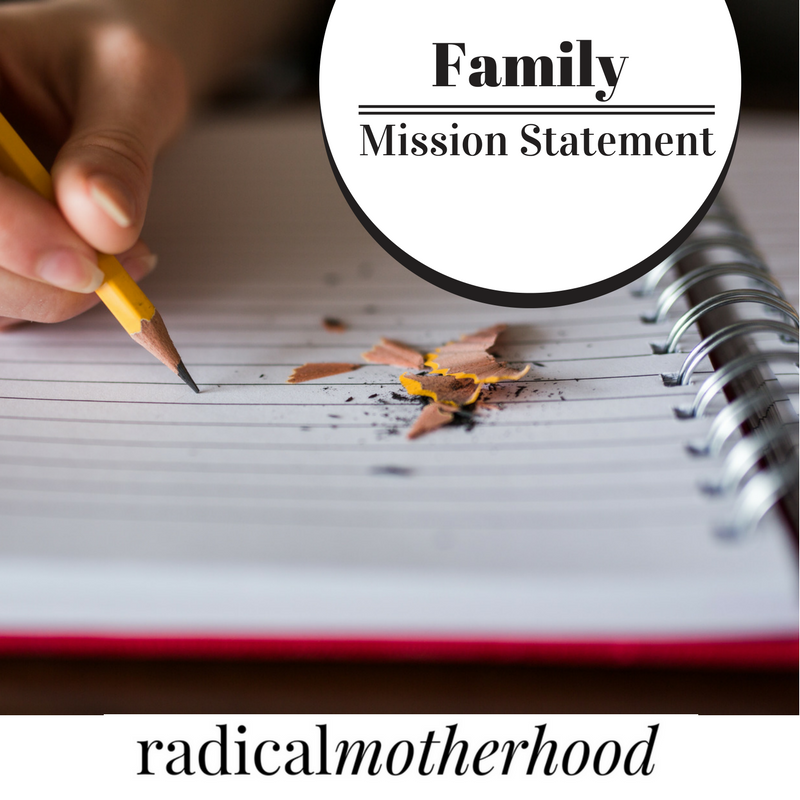 When I started researching family mission statements, I thought it might be too late for my family to create one. Our kids are in junior high and high school. They have already developed a sense of who we are as a family. We have been parenting them pretty successfully for years, so why worry about our values, goals, or mission now? Wasn’t it obvious what we wanted for our family? How important could defining these things be? Very important. Maybe more important now than ever. Teenagers need a strong sense of family identity. No time in my parenting experience have I thought it more important to know what our family’s purpose is and engage the kids in that purpose. The teenage years are when your kids are most likely to stray from your values. They force you to make decisions you had never anticipated having to make. They often act like strangers. Their relationships with their friends become their priority and their friends know things about them that they would be horrified to share with you. Teenage siblings are competitive about almost everything- they fight, ignore, and chastise each other for even the smallest thing. Even the best moments together as a family can end in yelling and door slamming. I knew that I needed to make the process of writing the statement easy and painless to get Todd to help me. We used our Family Mission Statement workbook as a guide to determine what we really value and what our most important priorities are. A few concepts really resounded with the goals and direction we wanted for our family. The primary thing we want for our girls is to develop (or continue developing) Christian character. Now that it’s written, we will be having a family meeting (see our Family Meeting Agenda!) to discuss it with the girls. Writing it was the easy part, now we have to live it!